The location for Royal weddings and christenings, the Chapel Royal, situated within the grounds of St James's Palace, is steeped in Royal history. A busy working chapel, the Chapel Royal holds regular services which are open to the general public, as well as hosting some unique Royal services. If you would like to attend a service, click on ‘Services’ in the left-hand menu for more information. 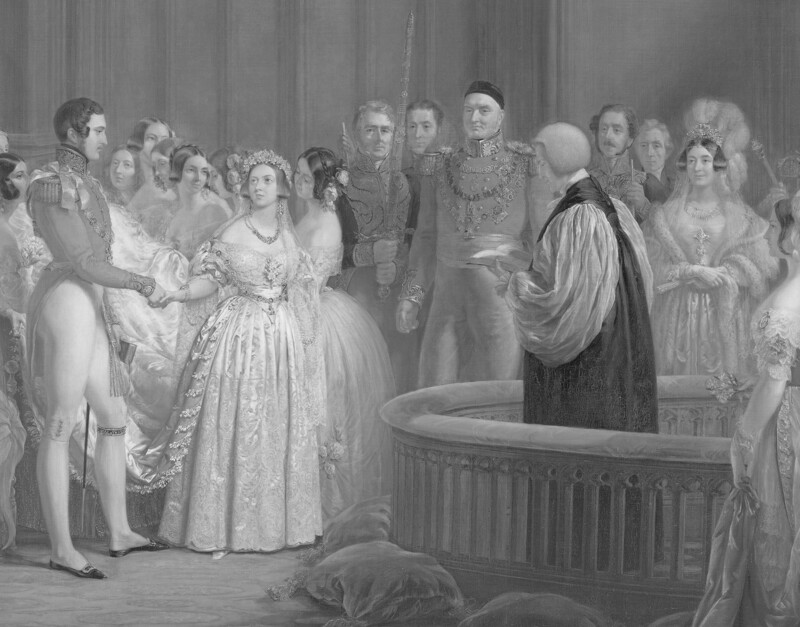 Many Royal weddings have taken place in the Chapel, including that of Queen Victoria to Prince Albert of Saxe-Coburg on 10 February 1840. Their eldest daughter, Victoria, Princess Royal, was also married there in 1858 to Prince Friedrich Wilhelm of Prussia, later the German Emperor Friedrich III. In 1893 the Duke of York and Princess Victoria Mary of Teck (later King George V and Queen Mary) were married in the Chapel. 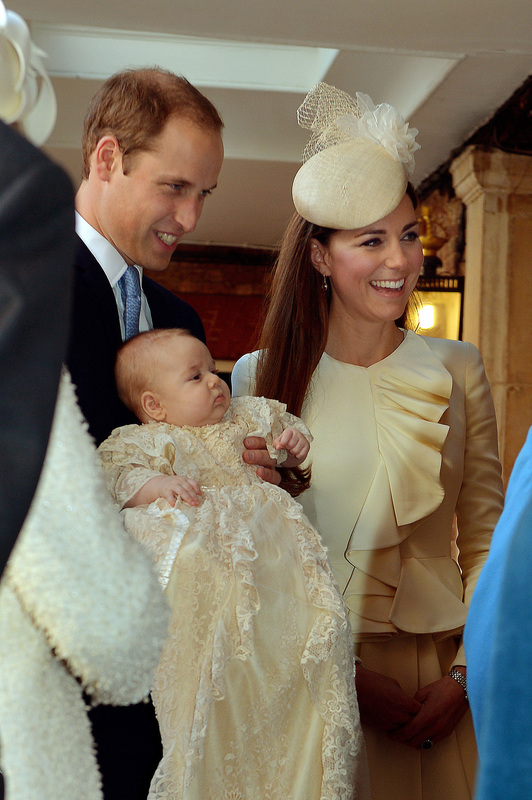 Most recently, Prince George was baptised at the Chapel Royal on 23 October 2013 in a ceremony attended by four generations of the Royal Family, including The Queen, The Prince of Wales and The Duke of Cambridge. 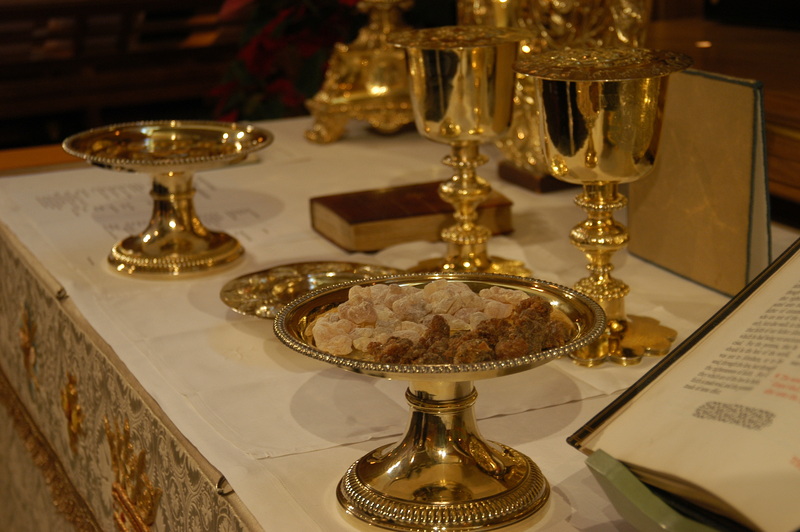 On 6 January each year the Epiphany ceremony of the offering of gold, frankincense and myrrh on behalf of the Sovereign takes place during the service of Choral Holy Communion and - with the Sovereign's permission – the chapel is used for christenings, weddings and funerals of members of the Royal Household. The Chapel Royal possesses some magnificent silver-gilt plate, nearly all made at the Restoration and used to adorn the altar on festival days. Among the main pieces are the set of altar candlesticks engraved with the monogram of the Duke of York, later James II (1661); two Charles II alms-dishes; and Charles II's great coronation alms-dish of 1660. Other pieces of Chapel Royal plate are exhibited with the Crown Jewels at the Tower of London. In origin and still in principle, the Chapel royal is not a building but an establishment,: a body of priests and singers to serve the spiritual needs of the Sovereign. Once, the establishment of priests, singers and servants travelled about England with the King, and their earliest permanent ‘chapels’ were at the Tower of London, Westminster Palace and Eltham Palace. The site of St James’s Palace, which once occupied by the leper hospital of St James the Less in the fields beyond the village of Charing, was granted by Henry VI to Eton College in 1449. By this time it was being used as a convent and in 1531 Henry VIII acquired it by an exchange of lands with the Provost of Eton. He rebuilt the convent as the Manor of St James, and his illegitimate son Henry Fitzroy, Duke of Richmond, died there in 1536. Little of the Tudor building remains. The Chapel ceiling, copied from the ambulatory vault of S. Costanza in Rome, with the painting attributed to Holbein, commemorates the marriage of Henry VIII and Anne of Cleves. The carved and decorated coat of arms over the main door belongs to Elizabeth I, who used a lion and dragon as supporters. 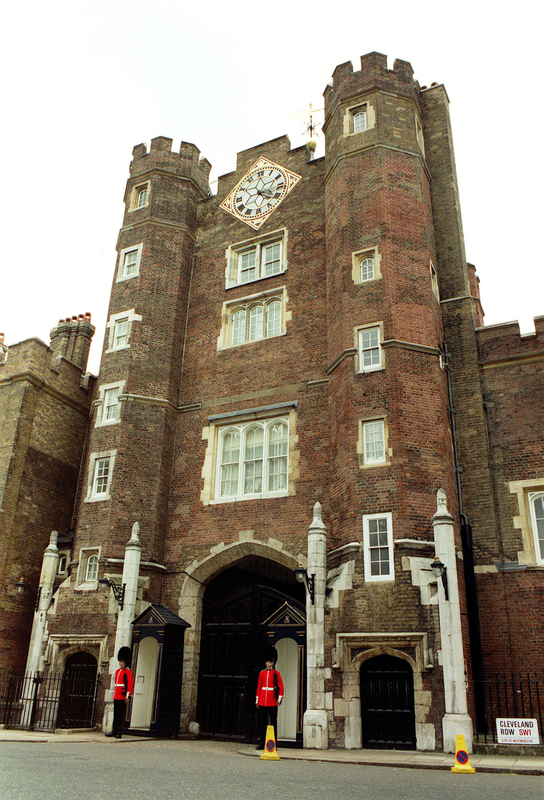 At the end of the Civil War, Charles I was imprisoned in St James's Palace. In 1836 Sir Robert Smirke reduced the Royal closet and enlarged the Chapel, installing oak panelling and adding a new ceiling at the south end, decorated with the names and cyphers of William IV and Queen Adelaide to match the earlier Italianate ceiling. During the Second World War the Chapel was damaged by a bomb blast. It has now been fully restored. 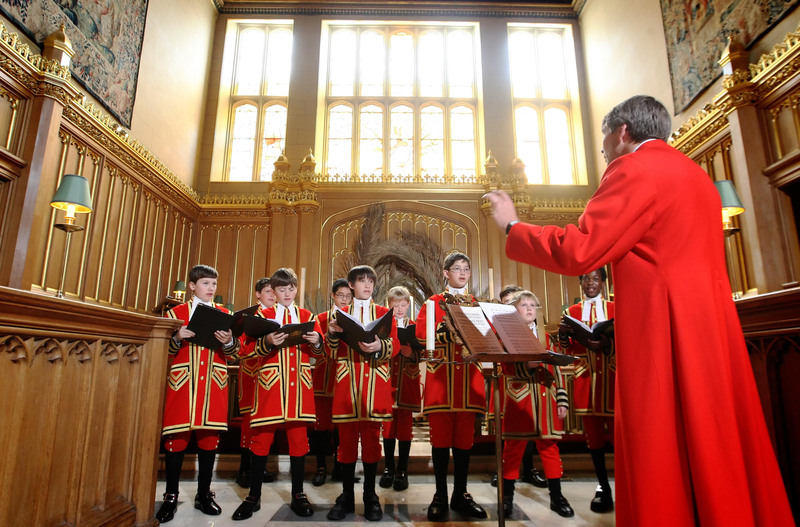 The Choir of Her Majesty’s Chapel Royal is one of the oldest continuous musical organisation in the world. It has existed since there have been Christian Kings in England, and its duties today are essentially the same as they have been for a thousand years and more: to sing the regular services in the Chapel of the Monarch’s home, and to attend the Monarch at services and other events elsewhere as commanded. Almost all of the principal names in English music have been members of the Chapel Royal, including Tallis, Byrd, Gibbons, Purcell and Handel. The Chapel Royal Choir is based at St. James’s Palace. The Chapel Royal Choir is made up of six Gentlemen-in-Ordinary, ten choristers, an Organist and Choirmaster and a Sub-Organist. The boys are traditionally known as the Children of the Chapel Royal, and wear the distinctive State uniform introduced at the Restoration in 1660. The boys attend City of London School, and receive a Choral Scholarship. Boys join the Choir as Probationers, becoming full choristers when one of the existing ten choristers leaves. Services are sung every Sunday morning except during August and September and the Sundays after Easter and after Christmas, and on a number of other occasions as required by the Church year. 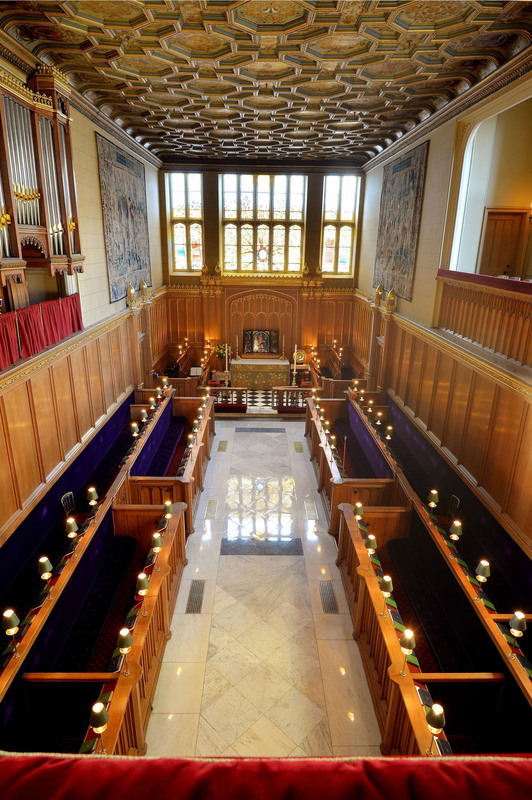 There are additional events such as Weddings and Funerals at the Chapel Royal, plus Carol Services, Concerts, Radio Broadcasts and State Occasions.